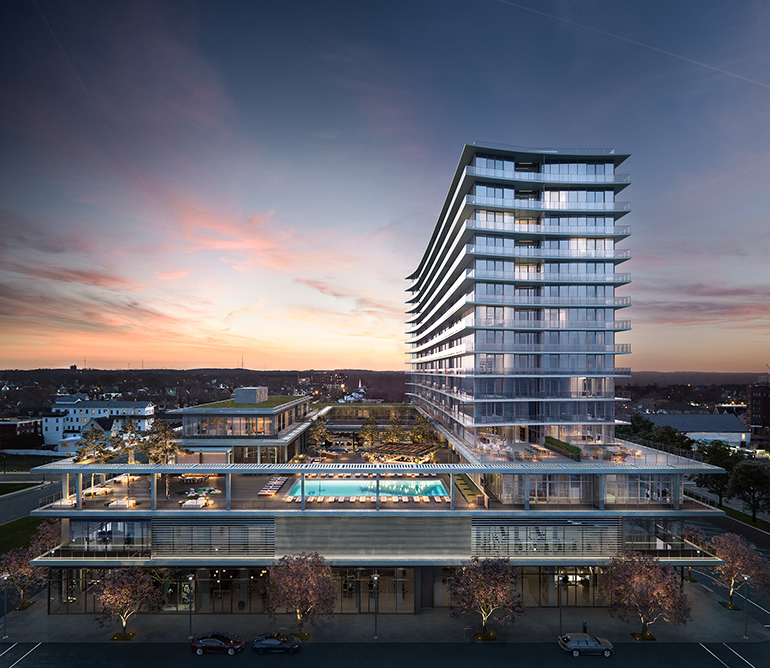 The Asbury Ocean Club in Asbury Park, New Jersey, will feature luxury residences that sit atop a 54-room boutique hotel. Rendering courtesy of the designers. 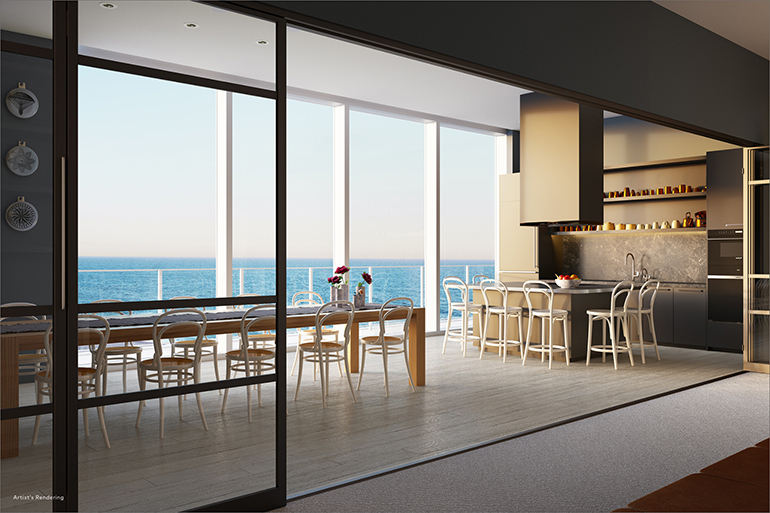 Residences will feature wide-plank bleached white oak engineered hardwood flooring, white lacquered custom cabinetry, and engineered stone countertops. Rendering courtesy of the designers. 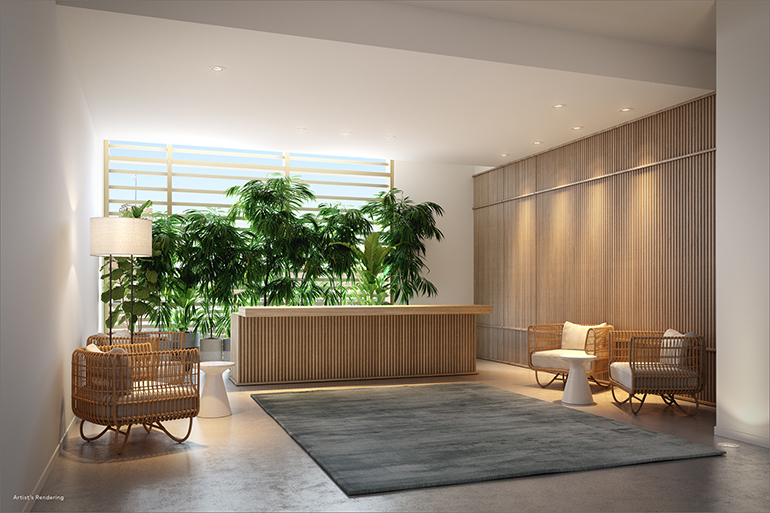 The Asbury Ocean Club will both reflect and enhance its locale, starting with a double-height lobby that features polished custom concrete and slatted oak walls. “We took on a beach house vernacular that’s open, light, and airy, and kept materials simple,” says Handel Architects principal Gary Handel. 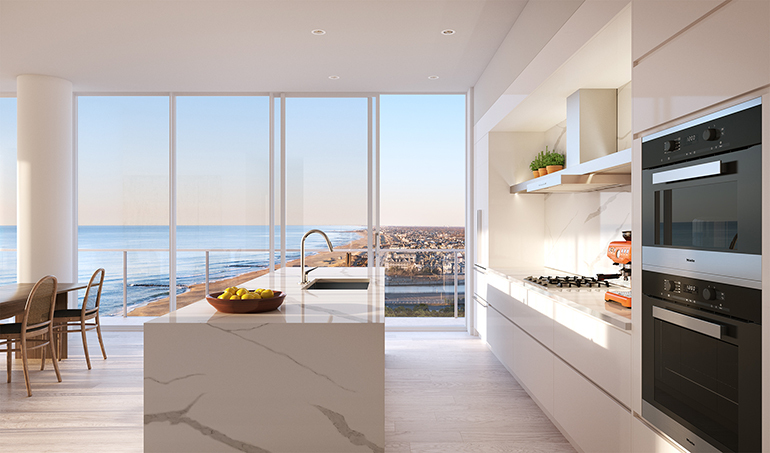 “We then added a gentle curvature to the building that reflects the shoreline.” Residences are available in up to three bedrooms, with east-facing terraces that offer panoramic views of a seemingly infinite shore. 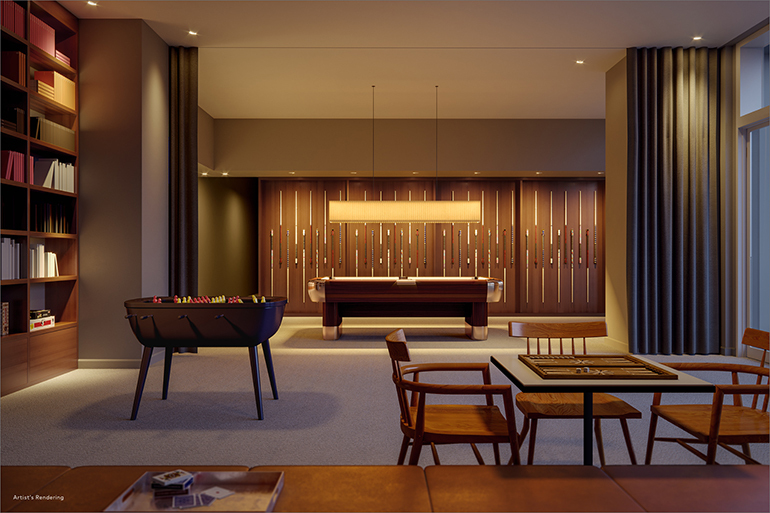 Top-tier amenities such as appliances, white lacquered custom cabinetry, fixtures, walk-in rain showers, and engineered stone countertops lend even more luxury. 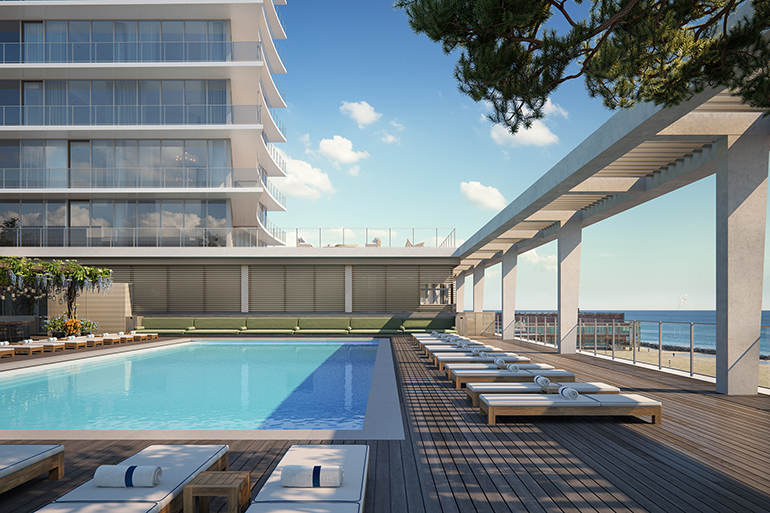 An expansive fourth-floor terrace will include a pool that measures 65 by 30 feet. Rendering courtesy of the designers. Catering Kitchen. Rendering courtesy of Binyan Studios. Fitness studio. Rendering courtesy of Binyan Studios. Library with billiards table. Rendering courtesy of Binyan Studios. 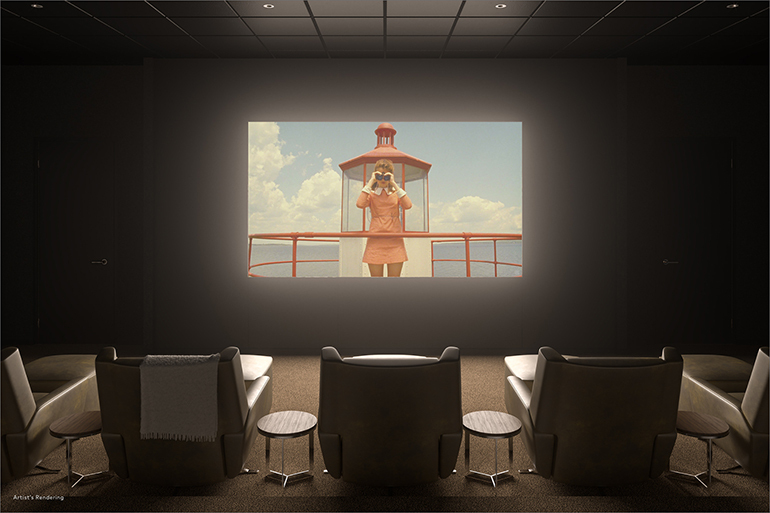 Screening room. Rendering courtesy of Binyan Studios. Spa reception. 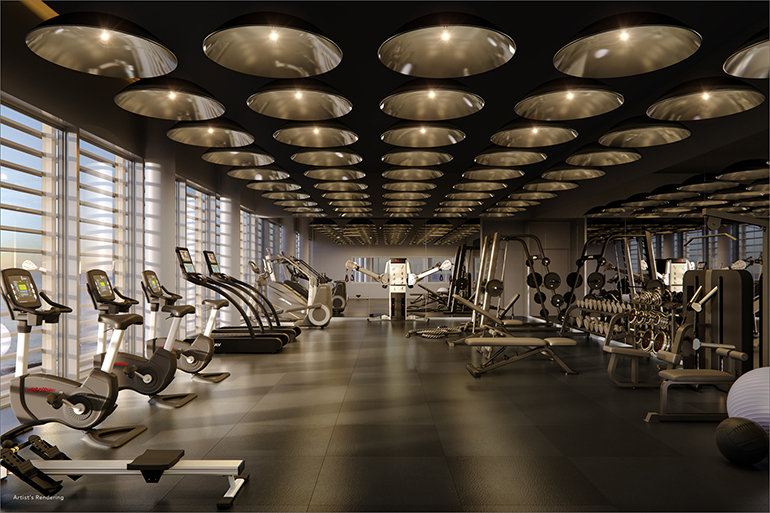 Rendering courtesy of Binyan Studios.